I don’t know about you, but my family is grabbing summer by the horns this year. We have vowed to spend as much time outside as humanly possible. We are soaking up the sun, and letting its warm rays wash over us. Hopefully these memories and moments will carry us through next winter, but until then here are the top 12 summer activities to enjoy with itty bitty kiddies. Favorite Summer Activities: Hit the Pool or the Beach! It isn’t summer without long days spent splashing in the shallow end of the local swimming hole. The smell of chlorine and sunscreen is overwhelming in the best possible way. This is one of the most versatile ways to spend a hot summer day. 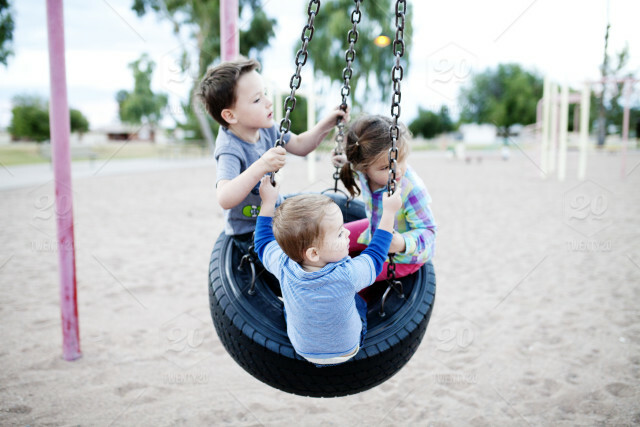 The older kids can run off and splash around with their friends. Baby can splash in the shallow end with me. We can waste entire weeks at the pool every single summer. Whenever we go, we make sure to pack our favorite On the Go products. Little Toes Poop Happens Swimmy Style Diaper kit has everything we need for our little one for a day out at the pool. Swim diaper, sunscreen, wipes, disposable mat, and hand sanitizer. The only thing it DOESN’T do is change the diaper for me. There are about a zillion different tutorials for how to make a homemade water blob. It is a summer activity for the kids and me that we never get tired of. 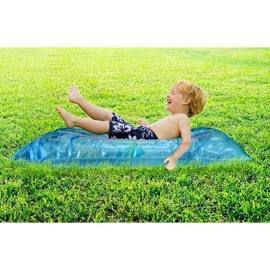 With just a few heavy sheets of clear plastic, some duct tape, and a hose, we have an entire day’s worth of fun in the sun all while staying cool and enjoying our own backyard. The kids can play on that thing for days on end without ever getting bored! I love it because it’s cheap, easy, and it keeps them outdoors. What’s more, the water blob provides a wonderful sensory experience for babies and toddlers. If you’re feeling super crafty, you can put some fake fish, food coloring, and even glitter inside your water blob before filling it up. Don’t forget your FREE sample of Little Toes Bamboo Diapers! There are more parks within walking distance than Starbuck’s for my family. We are working on trying to visit every park in town this summer—even if it’s just for a little while. It’s a great, free way to get outside and get kids active. Parks with baby swings are a bonus, as they allow my little one to participate at the same time as the older kids when we are out and about. And let’s face it—who doesn’t love swinging? Whenever we spend the day at the park, I am sure to bring along the On the Go Beach Baby kit. 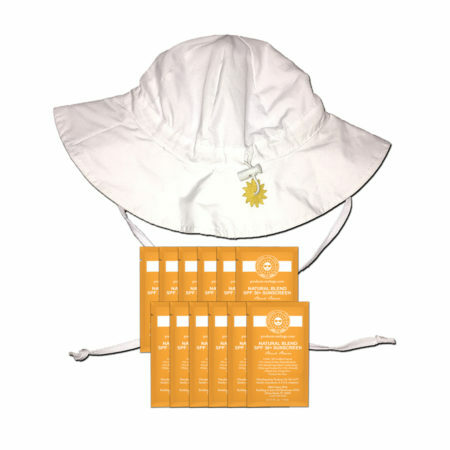 Even though we aren’t at the beach, the kit comes with an adorable and adjustable sun hat as well as sunscreen suitable for babies 6 months of age or older. It’s so compact it takes up zero space inside my diaper bag, which happens to be stuffed with some rogue Cheerios, a random loose tampon, and a baggie full of puffed rice snacks of an indeterminate age. OK, I know I said we want to spend as much time outside as possible. 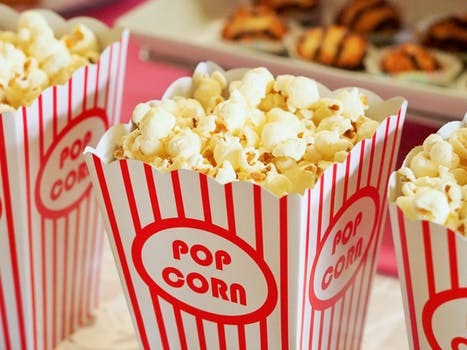 But on those rainy days when outdoors isn’t a great option or on those days when it’s so hot you think you’ll melt, we love to spend a couple of hours in the arctic air-conditioning of the local movie theater. Our local theater tends to do early day matinees specifically for families that are very inexpensive. The benefit is that the entire audience is under a certain age, so when the little one makes a fuss nobody bats an eye. Admittedly, we don’t get to go back “home” to visit my family as much as I’d like. However, we do still try to get back to Chicago every other year or so. 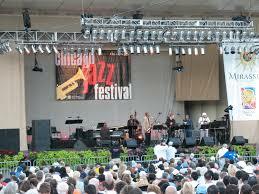 This year, we plan on spending 8 fun-filled days in the Windy City near the end of June. My children have never seen lightning bugs, which is a travesty I insisted upon remedying. While our littlest one may not be old enough to remember the trip, we plan on taking in the museums, visiting family and friends, and eating as much Italian Beef, pizza, hot dogs, and White Castles we can possibly consume in a little over a week. Of course flying with the family stresses me out to no end, and I always try to be prepared when I do. Keeping the little ones busy is important, but mommy also needs a freaking break sometimes, so I always travel with an On the Go Travel Accessory Set. 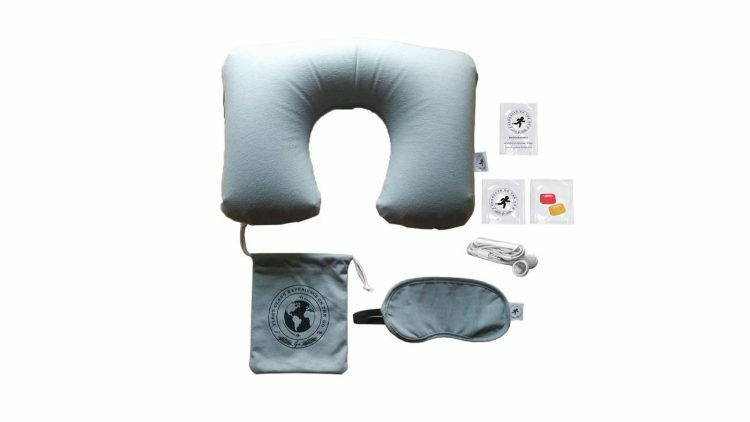 The convenient set is equipped with a neck pillow, mask, ear phones, hand wipes, and packs of gum and is packed into a convenient cotton pouch. It’s the perfect way to make the flight to and from O’Hare much easier to tolerate. When momma is happy, everybody is happy. I love making fruit juice popsicles in summer with fresh berries and fresh melon. 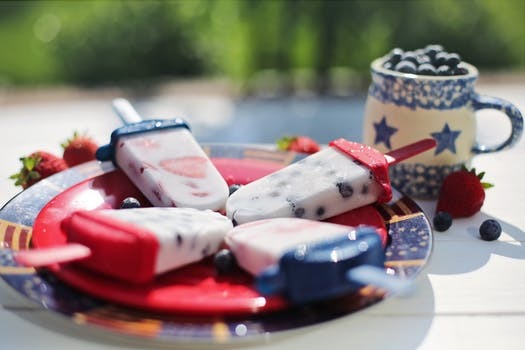 I will spend a couple of minutes a week concocting a new and deliciously summer flavor in the kitchen and popping them into popsicle molds. When they’re ready, there’s not better place to enjoy the sticky, sweet, homemade treats than the backyard. It becomes a nightly tradition in the dog days of summer, and our little one always manages to get more of it in her hair than in her mouth. 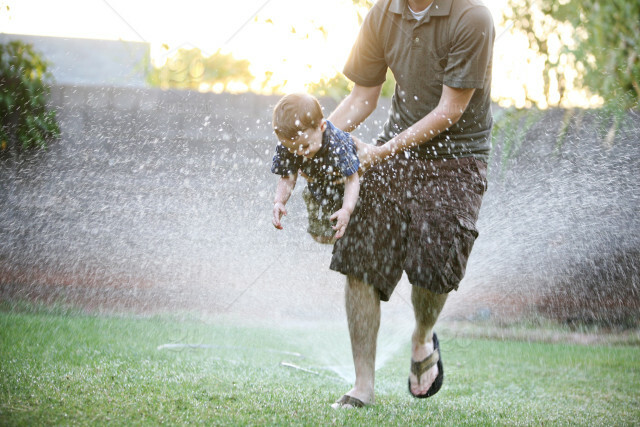 After the kids are sticky from homemade popsicles, there’s no better way to clean them up than to turn on the sprinklers and let them have at it! The sheer delight and giggles have us grinning from ear to ear every time. For those days that we hit on the sprinklers BEFORE the popsicles, I like to keep my On the Go Pocket Full of Sunshine Ready kit handy. 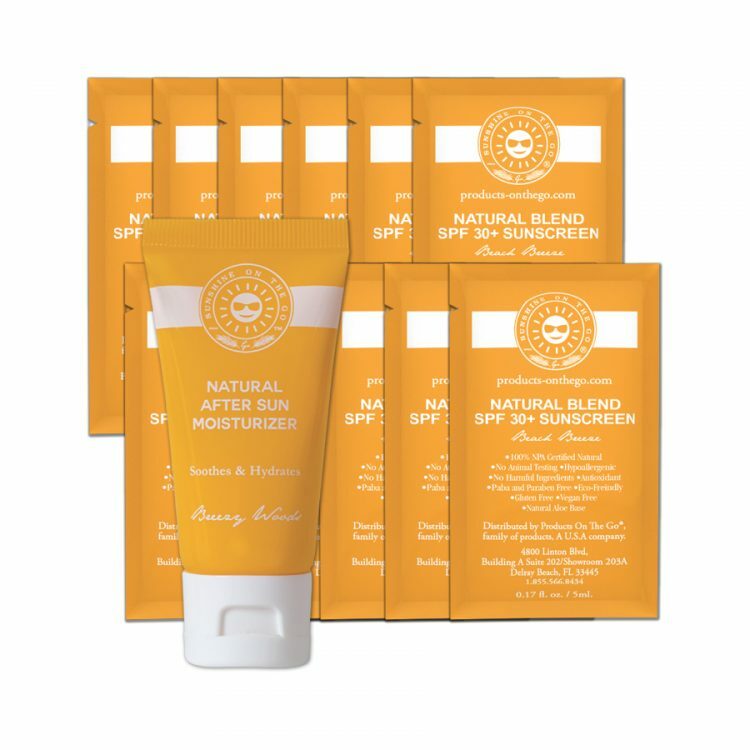 Filled with all the sun care products I need for the whole family, this handy kit keeps everything we all need right in one place. There is no better way to introduce your little ones to the joys of music than hearing it live. The sights, sounds, and smells of a music festival (as long as it is child appropriate) are perfect ways to spend summer evenings. Our city offers a summer music series in the local business district. We will go grab a piece of grass and set up camp and pack a picnic dinner for all of us. The On the Go Perfect Tote is my go-to accessory for the summer music series with the family. It is a reusable tote bag packed with sun care products, a blanket, and a stainless steel reusable water bottle. It’s super easy to pack the rest of what we need inside that tote and grab our cooler and head out for a late afternoon/early evening family music event. The baby loves sitting on the blanket with her toys, pulling at the grass, and taking in all the sights and sounds going on around her. This is one of my absolute favorite ways to spend a few minutes on a summer evening. We pop the baby into the wagon and load it up with blankets and toys and the whole family goes on a stroll through the neighborhood. It’s a wonderful opportunity to point out different types of flowers, plants, and insects native to our state, and the baby ALWAYS loves riding in the wagon! Little ones are still learning so much about textures and coordination. Putting together a small sandbox with a cover is an inexpensive yet easy way to introduce baby to all kinds of new textures while having fun. Show your little one how the texture of the sand changes when it gets wet. Build sand castles then smash them then build them again. When they tire of the sandbox, break out the sidewalk chalk. Non-toxic, brightly-colored sidewalk chalk can allow your little tikes to explore their inner artists while making as much mess as humanly possible. Afterward, a bath is always a necessity, but it’s a fun and interactive activity that has a lots of learning potential. 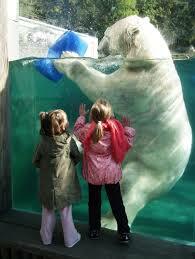 Personally, I prefer the zoo in the winter months when it’s less crowded. But I think I’m one of the weird ones as the rest of the family prefers our annual trips to the zoo as one of their favorite summer activities. It is truly fun for the whole entire family. Babies and toddlers are enamored with the more exotic animals (mine loves the monkeys, giraffes, and elephants), and EVERYBODY loves the penguins! 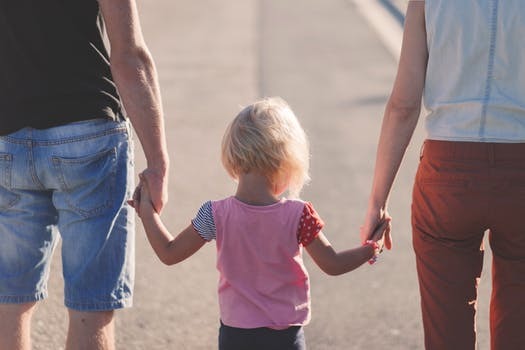 Because it’s a more costly endeavor for the entire family, we try to get the most for our money and plan on spending an entire day there. 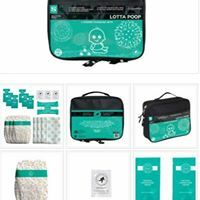 So when we do, I LOVE my On the Go Lotta Poop complete diaper changing kit. It has 3 natural bamboo diapers, 6 packets of diaper cream, a packet of 20 wipes, hand sanitizer, and 3 disposable diaper changing pads. It’s everything I need for those diaper changes on the go when we spend a whole day away. It’s small, compact, and they’ve thought of everything. Another favorite activity for a rainy summer day is story time at the library. 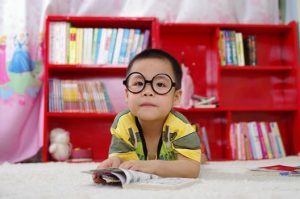 They offer the absolute best stories for the little ones, and it gives us the opportunity to interact with other families whose toddlers are the same age as mine. My little one looks forward to these rainy days because she knows she’s going to get the chance to be regaled by amazing tales of faraway lands, dance around to silly songs, and play with other little ones her age. Of course, my absolute favorite part of THIS activity is that it’s free. We have a ton of stuff to pack into our summer this year. From days at the pool to catching lightning bugs, most of our plans involve spending time outside. 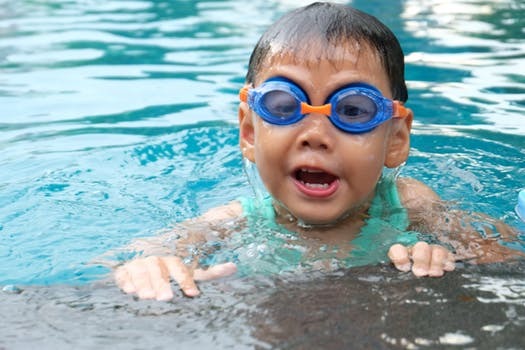 We try to incorporate summer activities that are enriching for the entire family, though admittedly more of them seem to focus around the toddler. Still, we have enough summer activities planned to keep these months jam-packed, and we will spend most of those moments making memories that will last a lifetime. 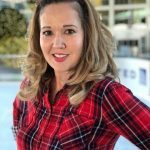 I advise you to read https://eduessayhelper.org/blog/paper-outline to your children. At least it will be useful in order to write your paper outline.